Top quality ski hire equipment at reasonable prices - check out our pricelists on the equipment pages above. 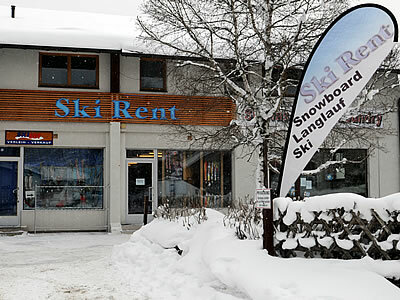 Friendly multi-lingual staff - we're the main ski hire suppliers for the foreign tour companies. They demand a high standard and value our experience in dealing with Seefeld's many international visitors. And now we've got a special deal for you - our internet visitors. Make a ski hire reservation on this site and we'll give you 10% off our normal competitive public prices when you arrive and book your equipment hire direct with us in Seefeld. No credit card, no compulsion - just a great deal for those of you who prefer to wait until you get to resort to sort out the best prices. So hit the link below to get details of this great discount - or take the time to have a longer look around the site. We hope to hear from you if you have any questions - and we hope to see you for your ski hire needs when you arrive in Seefeld! Save 10% and book your ski equipment now!